Holiday Lights, Sedona, Arizona ©2017 James D Peterson. Sedona's Tlaquepaque Arts and Crafts Village really knows how to celebrate holidays. 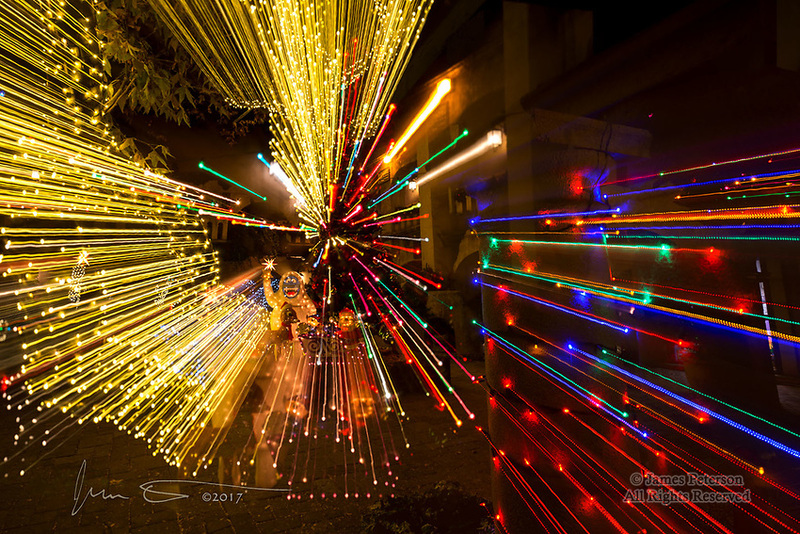 This Christmas display was put into warp drive by zooming my lens while the shutter was open.